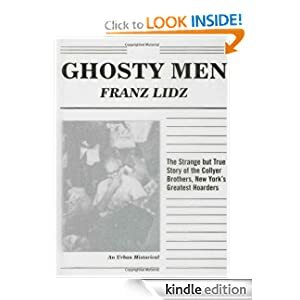 Today Amazon offers Ghosty Men: The Strange but True Story of the Collyer Brothers, New York’s Greatest Hoarders, An Urban Historical written by Franz Lidz. The book is cost only $0.99 today only. A true tale of changing New York by Franz Lidz, whose Unstrung Heroes is a classic of hoarder lore. Homer and Langley Collyer moved into their handsome brownstone in white, upper-class Harlem in 1909. By 1947, however, when the fire department had to carry Homer’s body out of the house he hadn’t left in twenty years, the neighborhood had degentrified, and their house was a fortress of junk: in an attempt to preserve the past, Homer and Langley held on to everything they touched. The scandal of Homer’s discovery, the story of his life, and the search for Langley, who was missing at the time, rocked the city; the story was on the front page of every newspaper for weeks. A quintessential New York story of quintessential New York characters, Ghosty Men is a perfect fit for Bloomsbury’s Urban Historicals series. 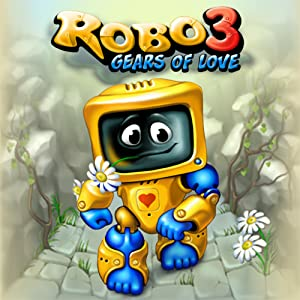 Today Amazon also offers free downloading Robo 3: Gears of Love. It is lovely game for your Kindle Fire. A robot’s reproduction is a very interesting, but rather laborious process. You have to wrestle with the problem creating of a new cybernetic organism. So our good friends the robot couple Robo and Eny have decided to make a baby. Unfortunately, they don’t have the suitable components handy. Microchips cost a lot in shops, and modern processors are lacking, even on the black market. Robo would do anything for a happy future for his cyber-child. That’s why he has to penetrate a frozen military laboratory. However, it’s not easy getting there because the laboratory’s factories are located on a gigantic proving ground. This vast territory is full of abandoned machinery, deadly lasers and reflectors, and dotted with portals and tunnels. There are few brave enough who’d dare enter this zone, let alone pass through it from beginning to end. Every level of the game is a maze full of different obstacles, traps, and dangerous equipment. Upon passing 30 levels, you can use the level editor and try to create your own levels, or download the creations of other players. This entry was posted in Kindle Applications, Kindle Apps, Kindle Books, Kindle Daily Deal and tagged Franz Lidz, Ghosty Men, Robo 3 by Paul. Bookmark the permalink.